Perfect for the classroom, daycare or child's play area! 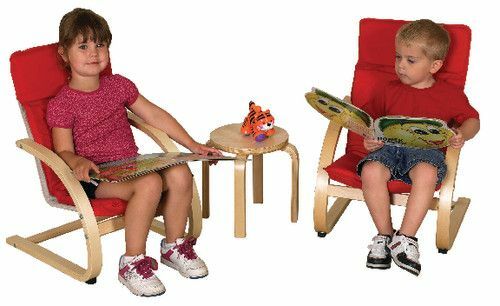 Birch bentwood chairs feature attractive, removable cushions filled with thick 1 1/2" foam, and rubber braces on the legs to prevent tipping. Backs are ergonomically shaped to promote good posture and support. Some assembly required. 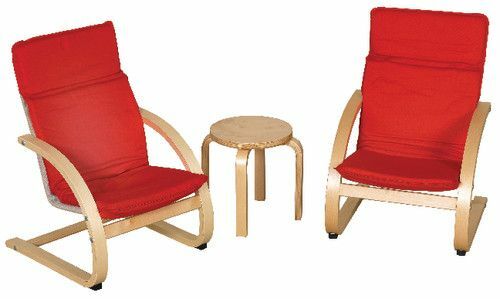 3-piece Chairs & Table Set. 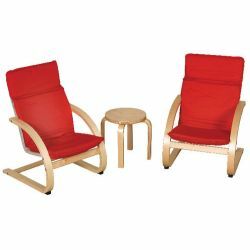 Includes 2 single chairs and table.